For 3 days, approximately 12,343 visitors attended the CitiBanamex Center in Mexico City. Most visitors were professionals from the graphic arts industry. The event was attended by 150 international leading brands who showcased their products and services. The event also featured live demonstrations, conferences and workshops. 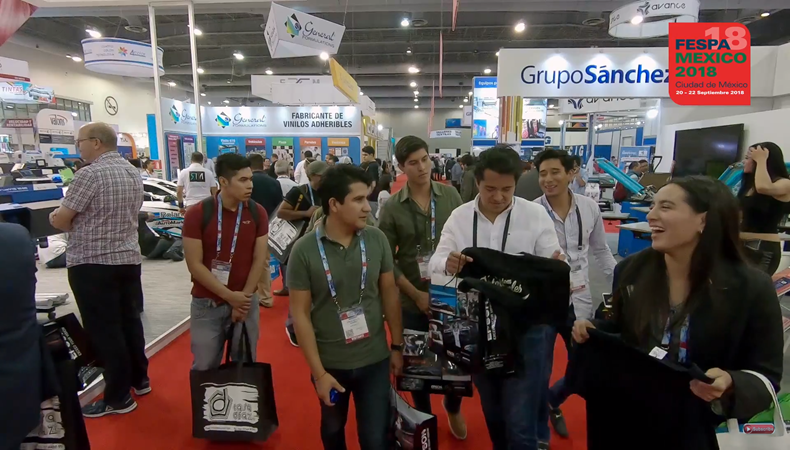 FESPA Mexico 2018 saw a considerable increase in the number of participating distributors from numerous renowned brands. A majority of visitors attended the event with the aim of learning about new trends and products by attending workshops and lectures that were led by well-known figures in the industry. FESPA’s vehicle wrapping competition the World Wrap Masters Mexico showcased the local talent. The knowledge, ingenuity, creativity and capacity of vehicle wrappers were put to test. If you could not join us this year, make sure not to miss out next year in 2019. We are certain attending or exhibiting at FESPA Mexico 2019 will exceed your expectations.